I absolutely love pancakes, especially seasoned pancakes. You know that feeling you get seeing a nice stack of pancakes with maple syrup drizzled all over. *In a low tone* Uuuuhhhhhh! Delicious! hahaha lol! 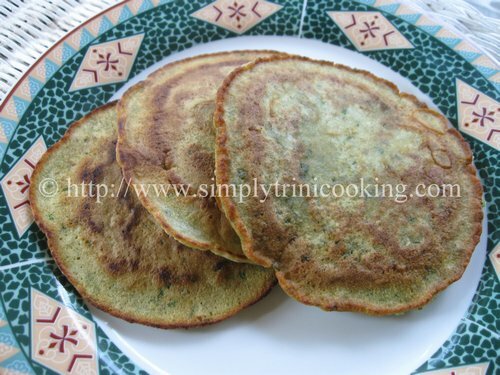 Well since I did pancakes a long while ago I thought it would be great to post a nice Trini twist that I have enjoyed as a child. 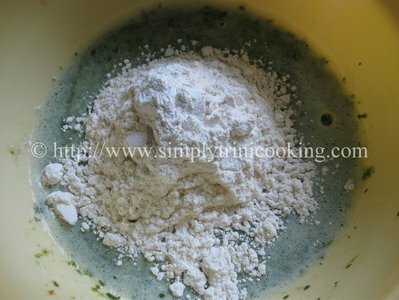 I actually mentioned it really but as usual got busy with other recipes and forgot about it. We are all accustomed to sweet homemade pancakes, but what about savoury ones? Umhm! Now I have you thinking. 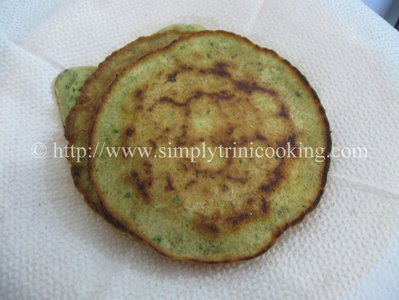 And, what about a savoury pancake done trinistyle with all our fresh local herbs, especially Mr. Chadon beni. 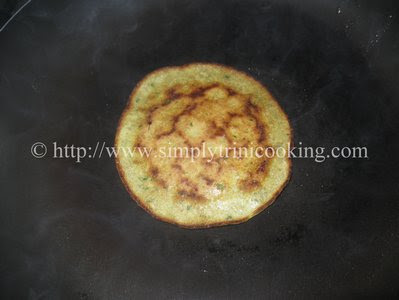 That’s what I am talking about: a savoury trinistyle pancake recipe that’s Mm Mm Good! 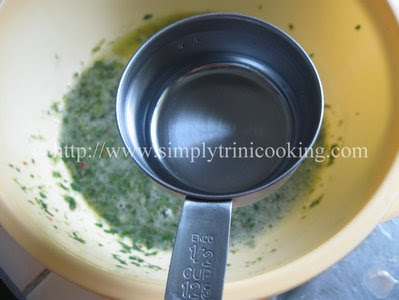 So put away the maple syrup, take out your frying pans and let’s get to cooking some trini style seasoned pancakes. Are you ready? 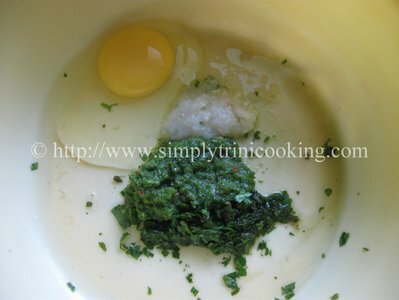 Blend the seasoning with the egg. Beat the mixture well. Add the water (or milk) to the mixture. I first added 1/2 cup. Add the remaining amount of water (or milk) to the mixture, mix well. 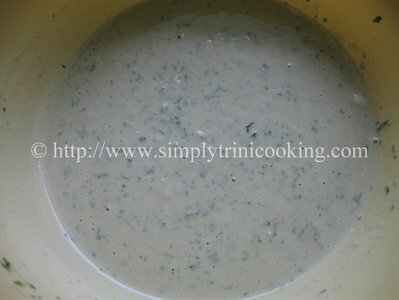 If the batter is not loose enough you may add a little more water (or milk). Pour about 2 tbsp. 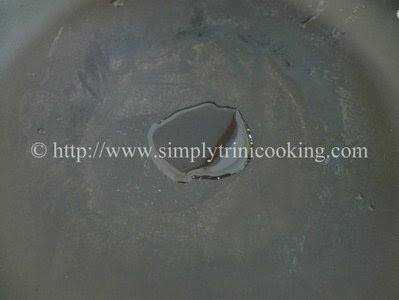 of oil or melt about 1 tbsp. of butter in a frying pan over low heat. 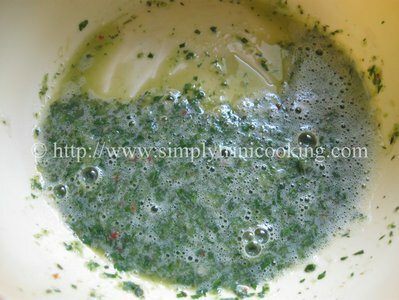 Pour about 1/4 cup of the mixture into the oil and allow to cook until slightly golden. Flip and fry on the other side. Then remove and drain on a napkin. This recipe will yield about 4 -5 pancakes. So how did it taste. I could imagine …with all that chadon beni that seasoned pancake has to taste good. See you soon with another trini creation. 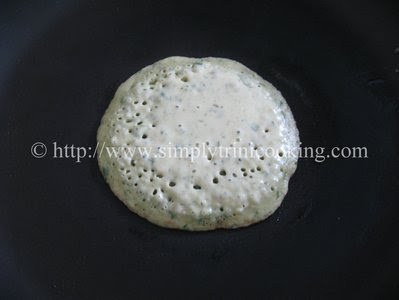 Don’t forget to leave your comment about seasoned pancakes in the comment box below.